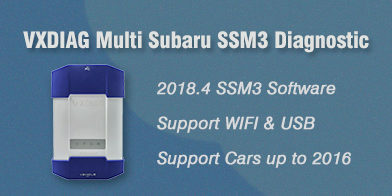 Does VXDIAG Subaru support SSM4 Software? Q1: Can i use SSM4 (Subaru Select Monitor IV) software with VXDIAG Multi Tool for Subaru? A2: No. 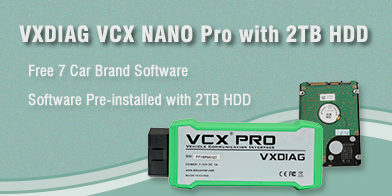 VXDIAG Subaru VCX PLUS is compatible with SSM3 software only. Q2: I try to install VXDIAG Subaru SSM3 software, it gave me an error “Com. with All systems Failed”. Interface was connected and the device indicator turned red. The I saw there is a SSM4 software folder, then installed SSM4, it told me to change computer date otherwise the SSM4 license will be invalid soon. 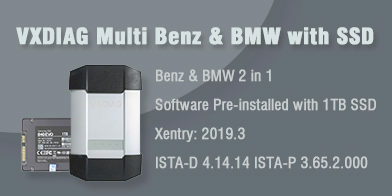 To install VXDIAG Subaru SSM III software, you need to install the patch as well. Don’t not run SSM4 software. It is not compatible with SSM4. DO always run SSM-3 software. Q3: I bought the VXDIAG SSM III with 2017.10 software. Can I use the old patch with the new V2018.04 SSM3? A3: Better use the new patch with 2018.2V software. VXDIAG Benz C6 DoIP vs. MB Star SD C4 C5 Diagnostic System?